I don’t know if this meets the definition of an official “pilot shortage”, but if anecdotal evidence is worth anything, my company is adding pilots and airplanes at a rapid rate. We’re already one of the biggest large-cabin charter companies in the business — and still growing. You can see the same thing happening all over the country. A friend who flies for a competing charter company recently attended an industry job fair and said business at his booth was “very slow”. He indicated that it was hard to find pilot candidates if you were a corporate, charter, or regional entity. The major airlines seem to be beating the bushes for people as well. JetBlue has an ab initio program, and airlines have partnered with flight schools large and small (including one I used to work for) in order to find a pipeline for new aviators. Another friend of mine, recently hired by Southwest Airlines, said there were a number of no-shows in his class. Plenty of people saw this coming. The financing options for pilot training rapidly dried up when the 2008 economic crisis hit, and for a number of years, relatively few people had the wherewithal to pursue flying. As a result, there weren’t many new pilots created in the 2008-2012 time frame. Meanwhile, professional aviators continued to age out, retire, pass away, lose medicals, change careers, and so on. So if you’re an aspiring pilot seeking an experienced instructor, you might find the pickings are rather scarce. Ironically, the odds of finding a highly qualified CFI are probably better if you’re looking for some kind of specialty training, since teachers in those nooks often make a career out of it. I’d imagine this problem is going to get a lot worse before it gets better – if it ever does. A former student of mine who’s been trying to earn his instructor certificate has been run through the wringer by a number of unprofessional operations and individuals. The list of drops, no-shows, and abusive behavior by those charged (and being well paid) to mold him into a first-class CFI is long and varied. His story is so compelling that I’ve encouraged him to write about the experience once he’s done. I suspect my friend is not the only one in that particular boat and that his tale will ring true with many pilots in the training pipeline. What surprises me most is not where you’ll find the bad instruction but rather where you’ll find the good stuff. It might not be where you think. Take the corporate/charter world, for example. The PIC on a jet aircraft is pretty much required to have Airline Transport Certificate these days. The FAA thinks highly enough of an ATP that they are allowed to provide formal dual instruction to other pilots in the course of charter and/or airline service, even without a flight instructor certificate or any other teaching experience (see 14 CFR 61.167). I don’t know how often this kind of instruction takes place on an official level, but the reality is that every co-pilot is a captain-in-training, so most PICs will find themselves doing a fair bit of mentoring and teaching in the cockpit. As I look back on my flying career, I think I’ve seen as much competent and effective instruction from non-CFI ATPs as I have from those who’ve been through FAA-sanctioned instructor training. It pains me to say that, because I’m a CFI myself. Teaching is not only a passion but one of the things I’m most proud of as a pilot. I wish I could say otherwise, but there are many sub-par CFIs out there. Oh, they probably have the knowledge and even the experience, but without consistent professionalism toward and dedication to their student, none of that matters. To put it plainly, the fact that a person has a flight instructor certificate in their wallet doesn’t make them a good teacher. Likewise, the lack of formal CFI training shouldn’t infer an inability to instruct effectively. One of my favorite teachers, James Albright, is a guy who has undoubtedly forgotten more about flying than I’ll ever know. I’ve never taken a course from him. In fact, I’ve never even met the guy. But I’ve read his books, articles and posts. He’s been kind enough to reply to email inquiries, too. As a result, I’ve learned many things that were not a part of my formal aviation education. And that’s what this post is really about: the fact that we are all teachers. We’re all instructors, whether we know it or not. Oh, we may not be signing logbooks or endorsements, but every time we fly, there are people watching us. Every time we open our mouths, they’re listening. Coworkers, passengers, fellow pilots – present and future. They’re observing us and learning something – even if it’s simply what not to do, how not to fly. As incident and accident reports show us, that can be a powerful lesson, too. So the question is, what kind of instructor are you? I think that your post points out a part of a continuing trend that does not bode well for Aviation here in the States. The cliché of young CFI’s flying to build time has oft been told. I was aware of it before I started my training for my PPL. And I still fell victim to a young CFI who had promised to see me through before running off to fly jets for a charter op. Still I made it through and persevered till I picked up my Sport, PPL & IR. Aviation doesn’t make it easy… and it’s getting harder still. I’ve found that it is very difficult to locate highly qualified and motivated CFII’s to even do recurrent training. I find that I am spending more and more time at home doing reading, youtube, websites, et.al and “flying” literally hundreds of IAPs on my sim.. just to stay reasonably current. That’s my fear as well: that the downward spiral will continue until we have as much of a GA segment as an eastern European country. With every person who leaves GA, it gets smaller and more expensive for those of us who remain. I see plenty of evidence arguing for this kind of denouement. On the other hand, there are positive signs as well: the FAA’s recent moves toward education over enforcement and allowing modern avionics like the D10A into certified airplanes; medical reform; a growing E-AB sector; a strong refurb market; lower insurance premiums; moderate avgas prices; new 100LL alternatives; and so on. The “chair flying” you mentioned is actually a great tool to keep your skills fresh. True story: I used to fly with an aerobatic competitor from Japan. He’d come to the U.S., fly acro for a week, then go home to Tokyo and not fly anything but an airliner for the next half year. When he returned, his aerobatic skills were just as sharp. It was like he’d never left! I investigated how he did this and it turns out everything he does is videotaped. He spends lots of time chair-flying the aerobatic sequences at home. As a result, he got more bang out of his aerobatic buck than anyone I’ve ever seen. When I was doing my primary training my CFI suggested I do some “chair flying”… his definition was to sit in a chair, eyes closed and visualize flight maneuvers. What I was referring to was using dual monitors, flying FSX with Eaglesoft’s SR22 package. It duplicates my exact flight instruments in my Cirrus SR22. FSX allows me to actually plan and fly IFR missions and shoot all normal IAPs that are in the NAS. The Eaglesoft package allows for the S-TEC AP to fly fully coupled approaches, the 430’s work as they do in the real plane, as do the dual Avidynes. And with FSX I set the Wx to min’s, seasons, etc. I connect my ForeFlight on my ipad to the FSX flights spoofing the gps location. Foreflight thinks I am actually flying the planned ifr flight and not just sitting at my sim… which allows me to bring up IAP’s and brief them… land and the airport taxi diagram comes right up as it does in real flight. Sorta a poor man’s RedBird. I like where they are leading… but believe that we could really help increase the pilot population if we drove the early training to the sim… and especially a home simulator such as FSX, X-plane or Prepar3d… if we allow for online training and home simulation for the first twenty hours with occasional ground instruction from a CFI (or virtual CFI) then we could seriously bend the cost curve. RedBird still has a fairly significant cost to use. Flight schools still have to find a way to pay the $70K bill for one. If the new student could come fairly well prepared with the basics then the CFI could take it from there. Move them into a RedBird to assess the student pilots progress and when appropriate into a real airplane. Friends of mine who joined the Regionals were shipped down to Texas to do their initial CRJ training. And took their type rating in the sim. The first time they actually flew a CRJ was with paying PAX on board. And that’s where I see your blog post coming to play. The Captain does the follow on training to the newly minted FO. The high cost of pilot training discourages many people from pursuing a dream of becoming a pilot. If the industry could get behind a push to change the process of flight training, I think there might be hope of bringing more people to aviation. Excellent post Ron! I’m not a pilot, but I try to do my part by introducing others to the world of aviation. I’ve taken non-avgeeks to Osh, a group of teenage girls to an aviation museum, and in a couple weeks I hope to take a bunch of kids from the neighborhood to a local airshow. If some of them decide they want to become pilots I sure hope that there will be qualified, enthusiastic TEACHERS (be it CFI, ATP or otherwise) to help get them there. For a non-pilot, you’re doing as much as anyone with a pilot certificate I’ve yet known. And for the record, I’m sticking with my prediction that you will one day earn that certificate, by the way! Of course, the adjunct to ‘We’re All Instructors’ is ‘we’re all students’. Aviation’s most used saying should be “Well, you learn something new every …flight”. Plus, as Greg pointed out above, learning and rehearsing opportunities are everywhere these days. As for the pilot shortage – someone, somewhere, must be biting their nails down to the knuckle. Experts and industry bodies have been spruiking the exponential growth of commercial aviation for decades, confident that they’d be able to fill many more planes without really addressing how they’d fill the two seats up the front. So far, all we’ve seen are strategies with all the vision of double-entry bookkeeping – like getting into a bidding war with the Air Force. What about a more co-operative approach to the huge cost of quality (as opposed to expeditious) training? Or fringe benefits that improve their pilot culture – like a company Cub* or sailplane that pilots can enjoy for nix (or a peppercorn fee)? A true corollary! And one I might’ve mentioned in the post — although the “we’re all students” part is a bit more intuitive, I suppose. It’s one of the things an examiner (in the U.S., at least) traditionally tells a student pilot after a successful checkride. Is the “this-is-a-license-to-learn” speech common in Australia as well? I’ll be curious to see how this shortage shakes out. Perhaps it will end with a whimper rather than a bang. A slower economy, the switch to single-pilot air carrier operations, some ab initio new hires, and so on. Part of the problem is that airlines are publicly-traded companies whose leadership features a) no pilot experience, and b) a general inability to look much beyond the next earnings report. Not exactly a recipe for long-term planning, and a bad match for solving what your correctly described as the “huge cost of quality training”. Yep, definitely got the ‘license to learn’ talk. And took it to heart too. Interesting point earlier about your Japanese aero pilot. My aerobatics instructor always told me to practice at home with a toilet plunger and a chair… Smart man. Great post as always. A great reminder to always look forwhat we can be learning as well as to be aware of what we are teaching. Well said! Glad you enjoyed the post, Mark. Hope life (airborne and otherwise) is treating you well. As always I enjoyed your post. Here in Chile we have a very small GA field, with few jobs in the corporate/small cargo area (requiring at least 1000hrs and connections) and basically one large monopolistic airline (LATAM), that waves benefits and salaries at young people, with such basic requirements such as 250Hrs and an IR rating. However if for some reason you don’t get selected at the airline you are a bit stuffed in now needing to pay for 750-1000hrs of flying time to even be looked at for a job in the real world. On the whole instructing students is something I really love doing, but I caution them about the realistic expectations and the massive amount of cash that it takes to be a pilot these days, It is seriously about twice as expensive as becoming a doctor, and that is a career that has a return on investment of about 2 years. I don’t think the price of becoming a pilot is going to come down….and in the case of the US, I think its the airlines that are going to have to make it an extremely attractive career again ($$$$$ in salaries and training) for there to be a resurgence in interest in aviation. Thanks, David. Sound like Chile has a lot in common with the American GA sector. You are doing an important service to your students by ensuring they have realistic expectations about a flying career. The youthful enthusiasm of a new entrant into the field is a wonderful thing, but if it’s not tempered with an eye toward the industry’s realities, that enthusiasm often ends badly. I would love to see the airlines turn the proverbial ship around and put some quality of life into the field again. Of course, they’re all publicly traded companies run by bean counters — er, sorry, businessmen — rather than aviators, so I’m not holding my breath. Great article . I am currently without a medical but I would Love to be a CFI . We do all learn things from each other whenever we fly or talk about aviation . GA can always use another quality instructor! And you don’t actually need a medical certificate to instruct (though you’d be limited to flights where the student was able to act as PIC). 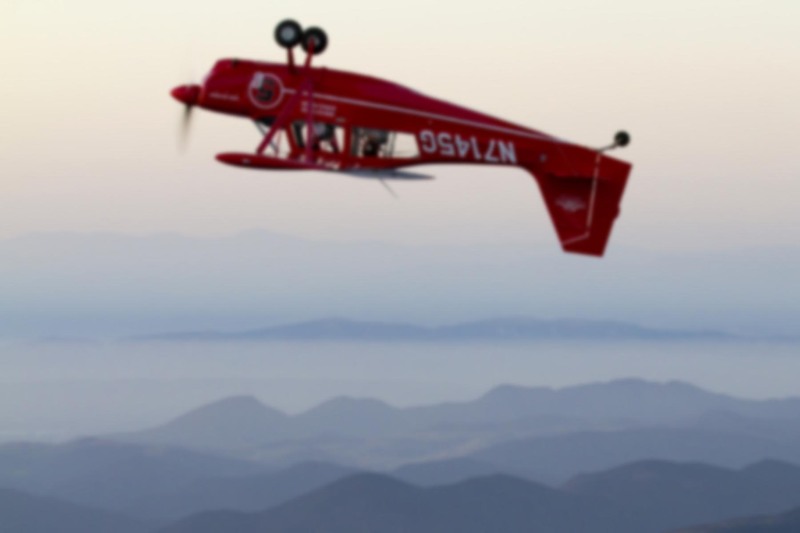 Another possibility would be to instruct at the Sport Pilot level. With this, you can take the students all the way from their first flight to a certificate, no medical required. I don’t know where you are, but here in So Cal we have a couple schools available. It is currently looking like the FAA will start allowing Sport Pilot training to apply towards higher ratings. They just wrapped the comments for a NPRM. Good point! I didn’t know about the NPRM, but it’s welcome news. I have to say, I’ve actually been pleased with many of the FAA’s recent moves and initiatives lately. From allowing non-certified avionics (aka Dynon) in certificated airframes to the new policy of emphasizing compliance over enforcement, I think they’re starting to head in the right direction. This NPRM sounds like more of the same.